The Saskatchewan Rough Riders are Grey Cup winners. But when these football champions want it smooth, they look no farther than that province’s snowmobile trails, where there are no rough rides. 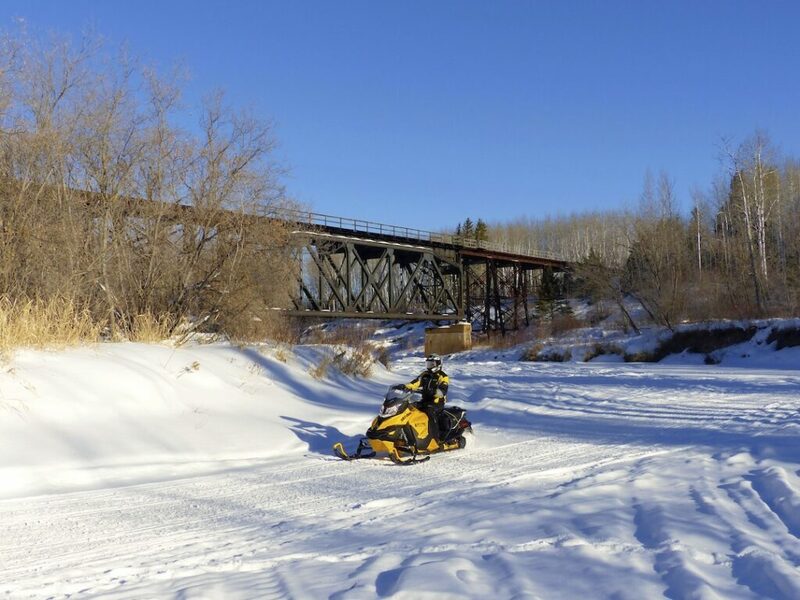 Since my last visit in 2005, Chris Brewer, president and CEO of the Saskatchewan Snowmobile Association (SSA), has urged me to “come see how much Sask snowmobiling’s improved”. So Johnny Biasi and I flew to Regina last March for four days of sledding. After picking up our rental vehicle, we drove about two hours northeast to Yorkton. There, we picked up our loaner sleds courtesy of Ski-Doo and local dealers, King’s Sport Leisure & Marine (Ski-Doo MXZ TNT 800 ETEC) and Lintlaw Service (Renegade Adrenalin 900 ACE). 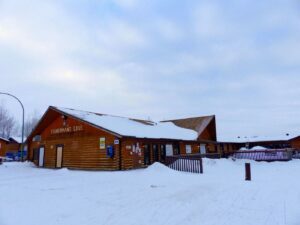 Then we overnighted at the new Day’s Inn before starting our Saskatchewan snowmobile tour the next morning (see Our Itinerary for daily ride info). Our plan was to ride one of the province’s most reliable snowbelt regions. 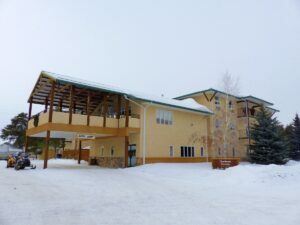 It’s located in Central Saskatchewan’s east side and stretches from Yorkton north to the Nipiwan area, where we stayed at the Northern Greens Resort. During this tour, we also stayed at Fisherman’s Cove Resort in Greenwater Provincial Park, and at the Treeline Motel in the Town of Hudson Bay. 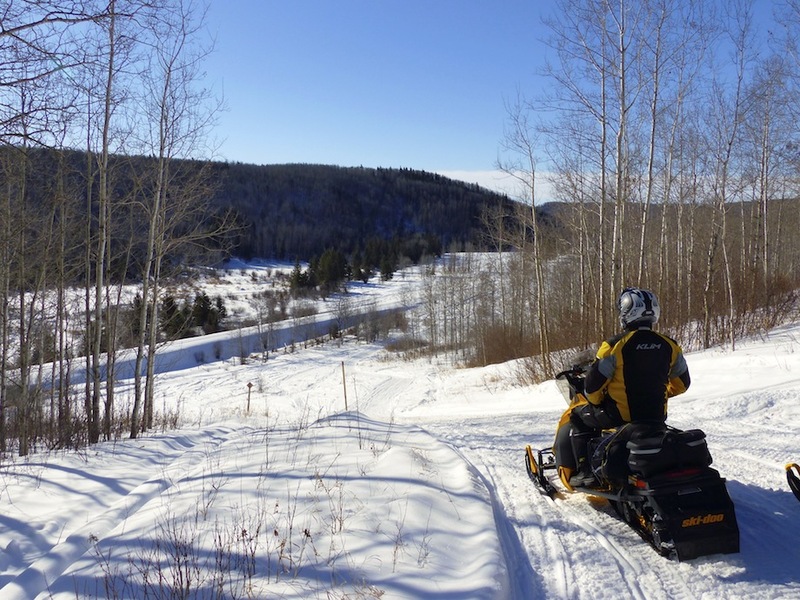 A quick overview of the Saskatchewan Snowmobile Trail Map shows that many of the province’s 10,000 or so kilometres of trails are on the province’s east side. It abuts the boundary with Manitoba, and is known by local snowmobilers as SSA Zone 2. Another swath of trails, in SSA Zone 1, connects from north and west of Prince Albert, running west to Alberta. There are also trails in South East Saskatchewan (Zone 3). But their provincial trail map shows none in the southwest (Zone 4), which typically doesn’t get much snow. What the map doesn’t show is topography. When friends found out I was going Sask snowmobiling, most imagined the riding would be pretty boring, on prairie that’s “flat as a pancake.” But this eastern part of Central Saskatchewan is where the prairie starts rolling over hill and dale. It’s also a transition occurs to boreal forest. We rode north from Yorkton on a clockwise loop. 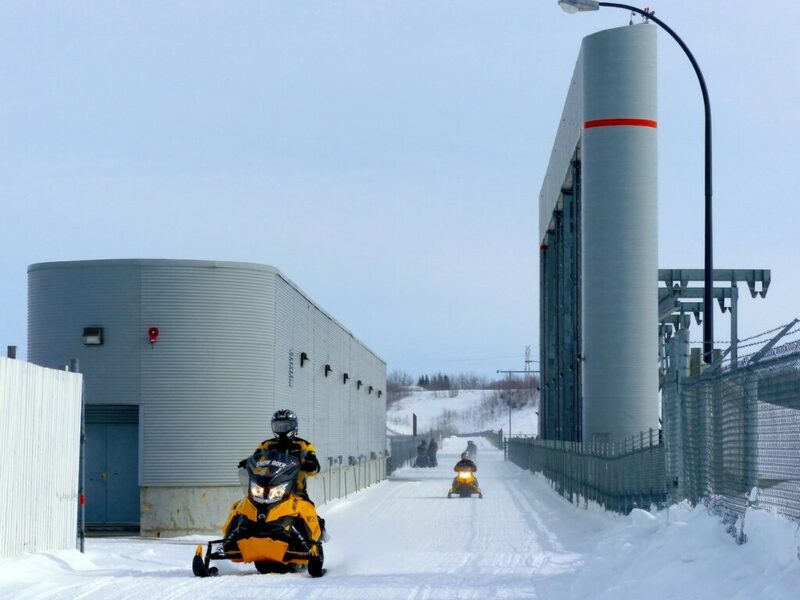 Then snowmobiled as far west as Melfort, as far north as Nipiwan and as far east as Hudson Bay before hightailing it south through Preeceville back to Yorkton. We rode on groomed trails through rolling hills, wilderness tracts, road ditches, and prairie fields. There were many ups and downs where this terrain is frequently cut by numerous river valleys. And inland lakes: we were surprised to do a couple of ice crossings, including on Trail 226E across Tobin Lake north of Nipiwan. 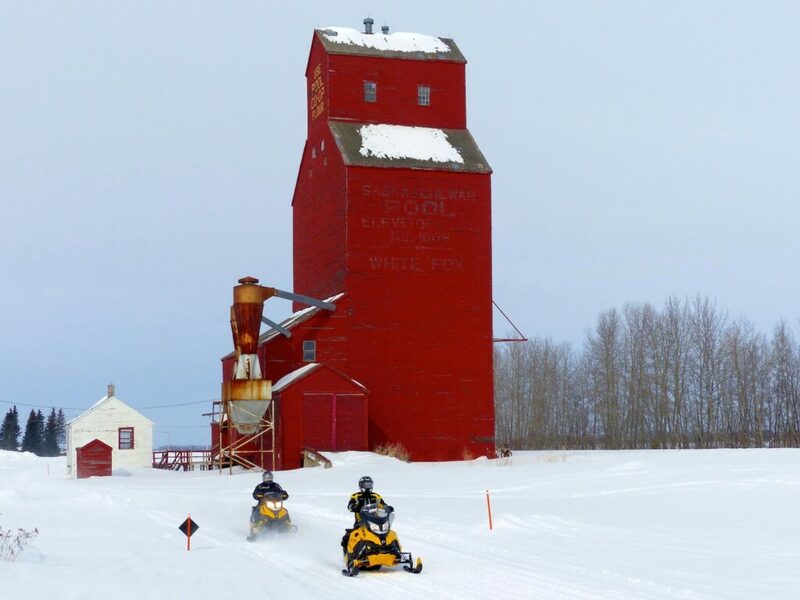 Snowmobile Eastern Saskatchewan – What’s With the Ice Fishing Huts? That’s not to say there weren’t flat areas. We crossed one massive field that disappeared into the horizon with nary a bump. Amazingly, the groomed trail ran like an arrow into the horizon too. That got me thinking: “How does the operator keep it so straight?” We found out later that the groomer driver is a farmer. 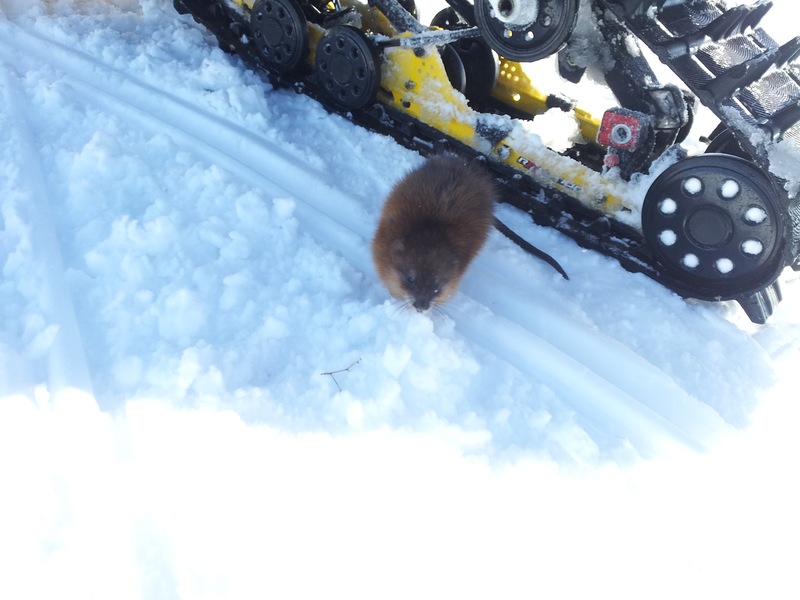 In the winter, he moves the technology that keeps his spring planting running in a perfect line into the groomer! Many of the flat areas are broken up by numerous clumps of small trees and bush. At one stop, I commented to Johnny: “This seems as if we’re on a huge lake surrounded by small islands.” Imagine my surprise when we came upon what looked like hundreds of ice fishing huts all around us – I was thinking maybe this was a lake after all! Turns out the huts are beehive shelters. They’re empty each winter when the bees are moved indoors to more temperate quarters. Then they’re returned to the fields each spring to pollenate the crops. When putting our itinerary together back home in Toronto, I’d had a bit of a quandary. On the one hand, our Snow Goer Canada crew doesn’t usually ride with guides. My operating principle is that if we can find our way around without local help, then you can too. Our regular touring crew usually consists of about six riders. This way, there are lots of sleds for the photos and extra hands to help if something goes wrong. But because we were flying out, this Saskatchewan snowmobile tour would be just Johnny and I. That would mean only one sled in my photos. So I compromised. I asked Chris Brewer to put me in touch with some club folks who’d be available to ride along each day. My only proviso was that they’d let me lead so I could be sure that visitors could follow their trails without getting lost. As it turned out, the SSA has made major progress with navigation. 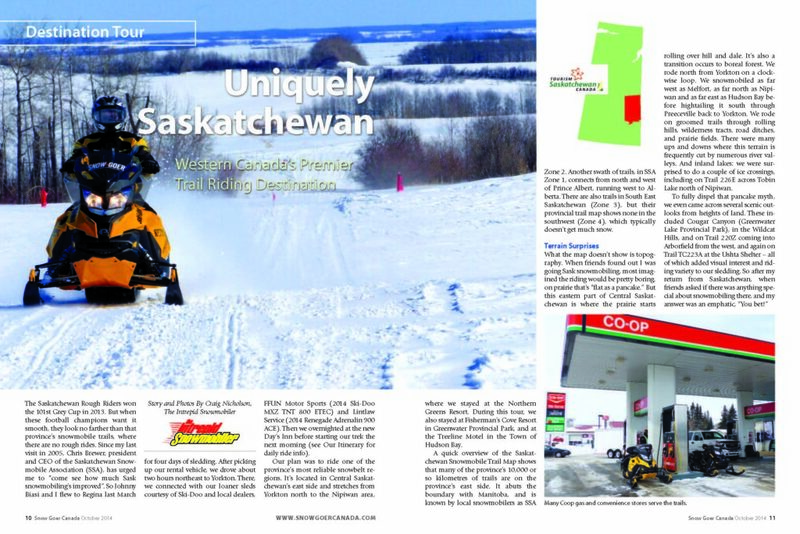 Getting around starts with the annual Saskatchewan Snowmobile Trail Map. It provides a good overview with minimal detail and identifies all clubs by name and location on its guide face. My next navigation step was to go to the excellent SSA website, where I clicked on “Zone 2 – NE Sask” under the “Maps & Conditions” drop down menu. The Zone 2 page includes a complete club list. When each name is clicked, up comes their very detailed local trail map that’s great for planning (and to print out on a colour printer to take with you). These maps are the same ones we found on the new “You Are Here” map signboards installed at most trail intersections. At first glance, some of these signboards appear to be strangely placed. But the installation rule is that the back of the signboard must be to the north. This way, a rider facing the map on the snow can always tell which direction is north. Along with a good trail numbering system (the first three digits indicate the number of the club whose trail you are on and the last letter identifies the actual trail), we found our way no problem. If we were ever in doubt about getting around, we just did what the locals do. Navigate from warm up shelter to warm up shelter. 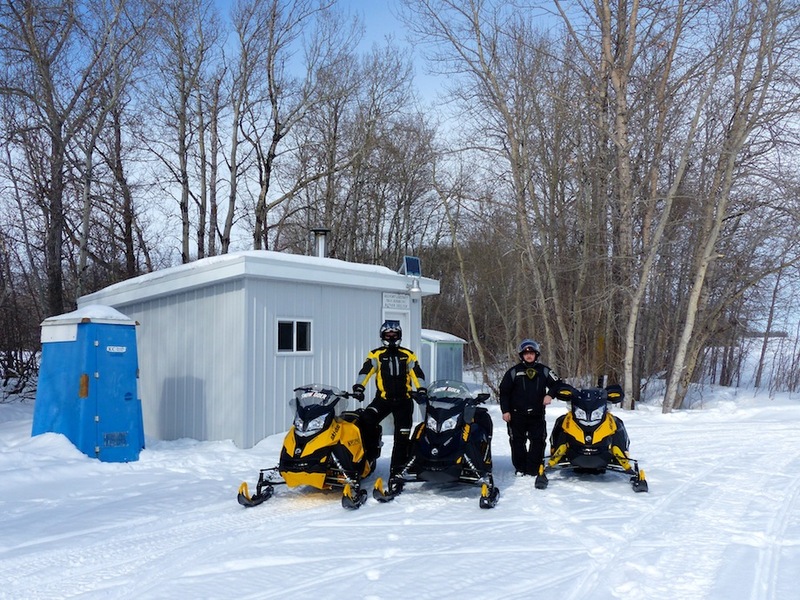 Saskatchewan probably leads the known snowmobiling world with its system of shelters. They’re a great benefit for riders. Each of their 137 shelters has its name on the building. Each is also named and marked on the club trail map. They vary in size and age, but each has a stove, wood supply, indoor seating and an outhouse. These amenities make shelters good for emergencies and widely used by snowmobilers as meeting & eating places, and rest stops. They are also trail social hubs. 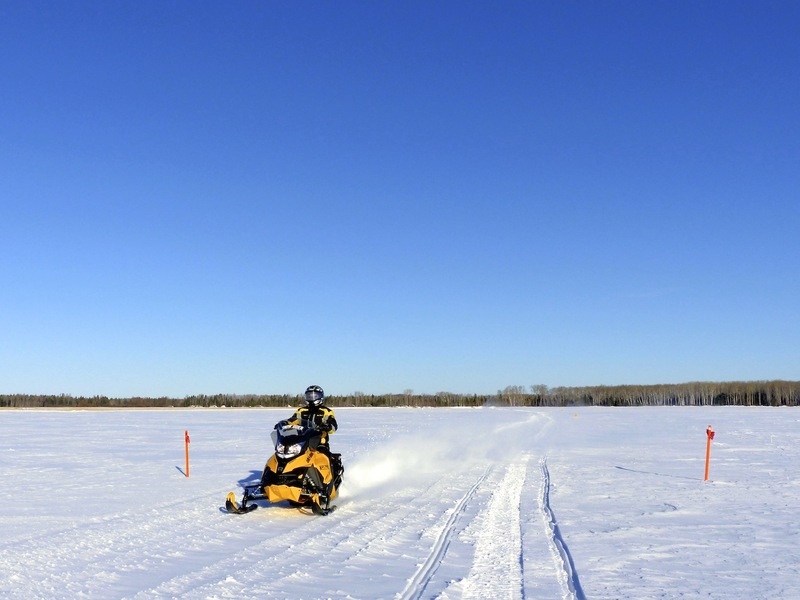 This network of shelters gives Saskatchewan sledding a special flair. They go a long way to encouraging and supporting the family snowmobiling that’s so important to sustaining sledding from generation to generation. 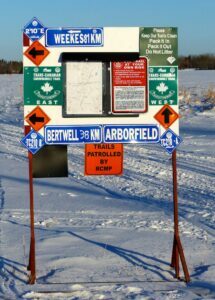 Overall, Saskatchewan clubs do a good job of staking their trails across many fields and other open areas. Staking another strong navigational aid during fair weather. It can also be a godsend when conditions are white out or worse. The coloured and reflectorized stakes are usually placed close enough together that I could see several ahead in good visibility. Even when the wind blew up the snow into a brief white out one afternoon, I could just make out each next stake in line. If worst came to worst and a sudden blizzard obliterated visibility, the stakes should help riders find the next warm up shelter. We were riding down a road allowance between two lines of trees. I spotted something ahead. Getting closer, it looked like a couple of dogs trotting along the trail. They weren’t moving aside. Catching up to them, I quickly realized they were bigger than German Shepherds, that’s right – timber wolves! They were now going full tilt, but still not leaving the trail. I rode right up beside the first one, close enough to touch. Then passed them both. As the rest of our group followed suit, I looked back in my mirrors. Those wolves were still on “their” trail, maybe following the stake line too! Have you ever been held at bay by a muskrat? Johnny had stopped in the middle of a field. It was far from the nearest frozen creek. Sitting on his idling sled, he observed something brown scurrying his way. First off, he thought it was a ground hog or prairie dog. Then suddenly realized it was a muskrat – which proceeded to disappear into his track! Initially, Johnny couldn’t get the little blighter out. It just sat there inside the front of the track giving him the (muskrat) eye, and preventing him from catching up with me. By the time I’d turned around to come back and see if there was anything wrong, the muskrat had taken off again. Across the field it went, probably in search of the nearest water – or a friendlier snowmobiler! Fly from Toronto to Regina; Drive rental car 184 km to Yorkton. Where To Stay: Days Inn. We staged from this classy new, multi floor hotel with a pool and hot tub, free hot continental breakfast and a restaurant nearby. A local access trail is just across the road, which leads to main trails and Co-op gas station. Ride 250 km from Yorkton to Greenwater Provincial Park via Good Spirit, Invermay, Lintlaw & Cougar Valley. Tempo gas at Invermay & Lintlaw. Where To Stay: Fisherman’s Cove Resort, Greenwater Provincial Park. 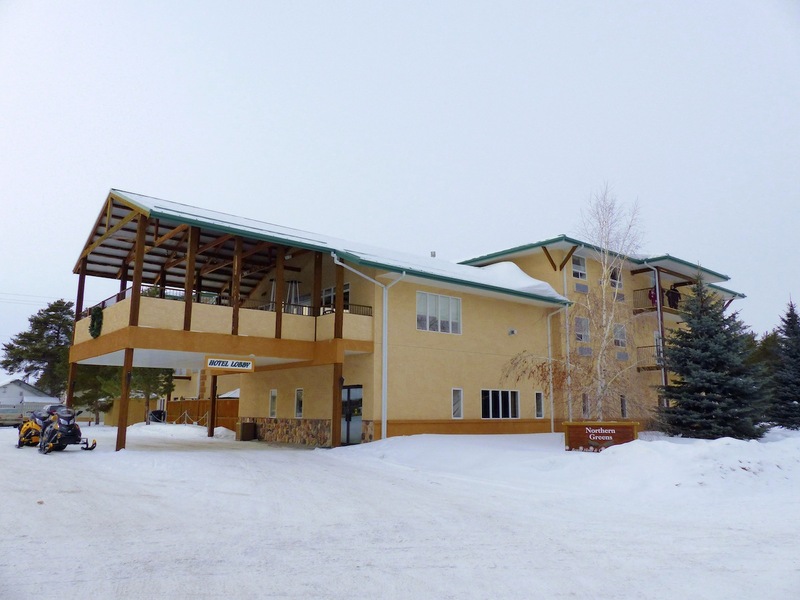 Located right on Trail 211A on the south side of the park, this old style resort is cozy and clean. It has fuel, restaurant and bar on site, and offers both cabins and motel rooms. Ride 305 km from Greenwater to Nipawin via Archerwill, Melfort, Gronlid, Pontrilas + loop north to Tobin Lake thru White Fox & back to Nipawin. Co-op gas station at Melfort. Where To Stay: Northern Greens Resort. 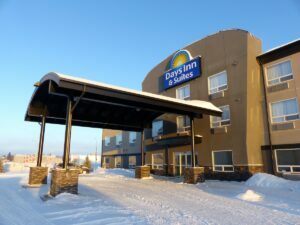 Accessed off of Trail 226E at the south end of Nipawin, this multi floor hotel provides classy rooms, free continental breakfast and has an on site restaurant. Co-op gas station nearby. Ride 303 km from Nipawin to Hudson Bay via Tobin lake, Alysham, Zenon Park, Arborfield, Carrot River & Wildcat Hill Provincial Park. 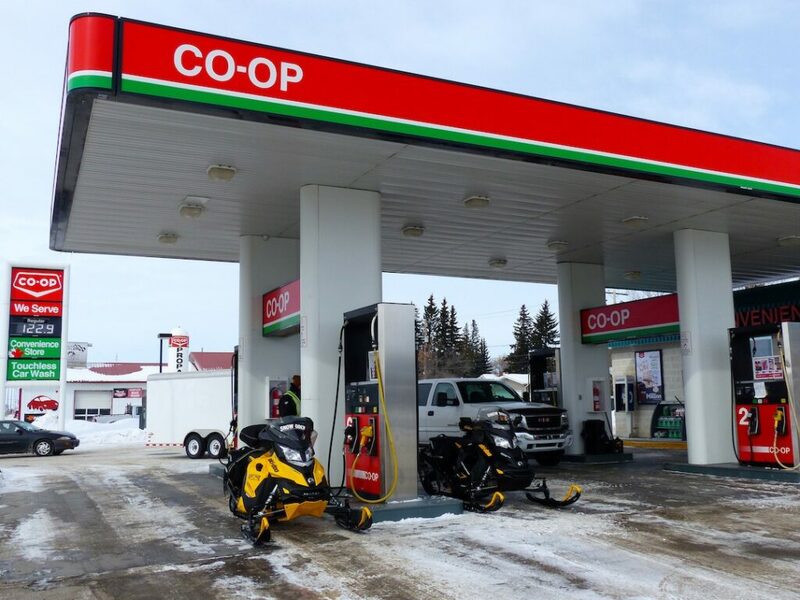 Co-op gas station at Carrot River. Where To Stay: Treeline Motel. 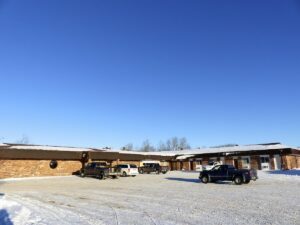 Located at the west end of Hudson Bay on Trail 210A, this 31-room roadside motel offers on site licensed restaurant and sled parking in front of your room. Co-op gas station just down the road. Ride 273 km from Hudson Bay to Yorkton via Berwell, Reserve, Endeavour, Preeceville, Sturgis & Rhein. Tempo gas station at Sturgis.